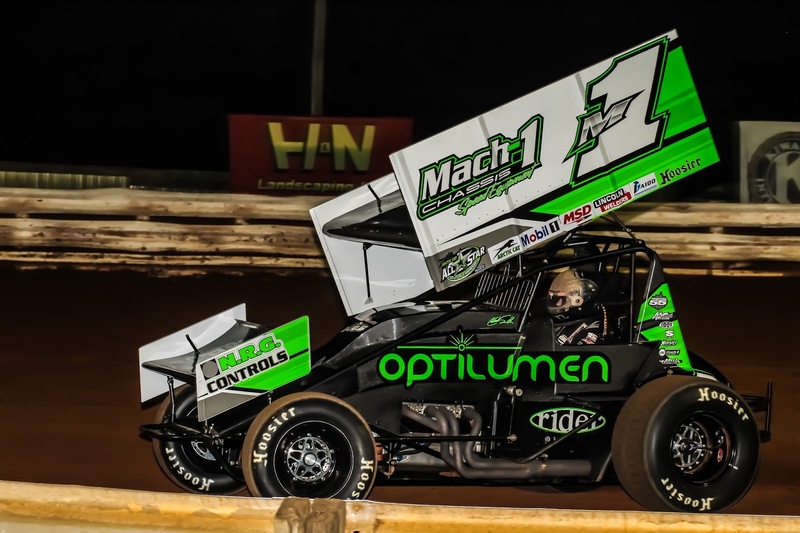 SELINSGROVE, Pa. – Selinsgrove Speedway will present the 18th Annual Mach 1 Chassis National Open for 360 sprint cars at 7:30 p.m. Saturday, Aug. 4. The 30-lap main event will pay $5,000 to win and $300 to start out of the $17,000-plus purse. Pit gates will open at 4 p.m. with grandstand gates at 5 p.m. The rain date, if needed, will be Sunday, Aug. 5, at 7 p.m. 360 sprint car rules for the major sanctioning groups will be permitted for this event. Sprint car drivers will draw pills to determine their starting positions in the 8-lap heat races. Drivers will earn passing points for their heat race finishes. The top eight drivers in points will redraw for the first eight starting positions in the A-main. The balance of the A-main lineup will be based on points earned. The top four finishers from the B-main will round out the starting grid. Joining the 360 sprint cars on the racing program will be the super late models in a 25-lap feature paying $2,000 to win and the pro stocks in a 15-lap main event paying $400 to win. The Eastern Museum of Motor Racing (EMMR) will also have a classic race car display at the track. In 358-360 sprint car Open history at Selinsgrove Speedway, 17 races have produced 10 different winners since 2001. TJ Stutts of Liverpool won the inaugural race in 2001 and in 2016 became a five-time winner of the 358-360 Open, with his other victories coming in 2003, 2013, and 2015. Pat Cannon of Etters is a three-time winner of the Open with checkered flags in 2007, 2008, and in 2012. Logan Schuchart of Hanover drove to an impressive victory in the 2011 race. In 2010, Daryn Pittman of Owasso, Okla., was awarded the win when Cannon’s race car was under the legal weight during the post-race inspection. Blane Heimbach of Selinsgrove won the 2005 Open and the rain-postponed 2009 edition of the Open that was run in the spring of 2010. Adrian Shaffer of Hallam was the Open champion in 2002, while Nate Snyder of Halifax took the victory in the 2004 race. Phil Walter of McClure took home the trophy in 2006. Aaron Ott of East Berlin scored the victory in 2014 with Greg Hodnett of Spring Grove adding his name to the list of winners in last year’s 360 Open. Title sponsor Mach 1 Chassis, located at 10 North Frederick Street in Mechanicsburg, engineers and builds race car chassis that are known for safety, strength, durability, and performance. In addition to chassis fabrication and repair, Mach 1 Chassis also manufactures front and rear bumpers, nerf bars, front axles, wing posts, and wing trees. There’s also the Mach 1 Speed Shop offering a full line of race car parts and service at the Mechanicsburg shop. For more information about the company, visit mach1chassis.com. For the latest news, results, and race status, visit selinsgrovespeedway.com or follow us on Twitter and Facebook. The speedway office can also be reached at 570.374.2266.